After going dark last summer, Night Market Cleveland returns to Rockwell Avenue and E. 21st St. on Friday, June 21, for an all-new season of food, music, and family entertainment—and even more opportunities for visitors and locals alike to get to know this small, often insular, community. 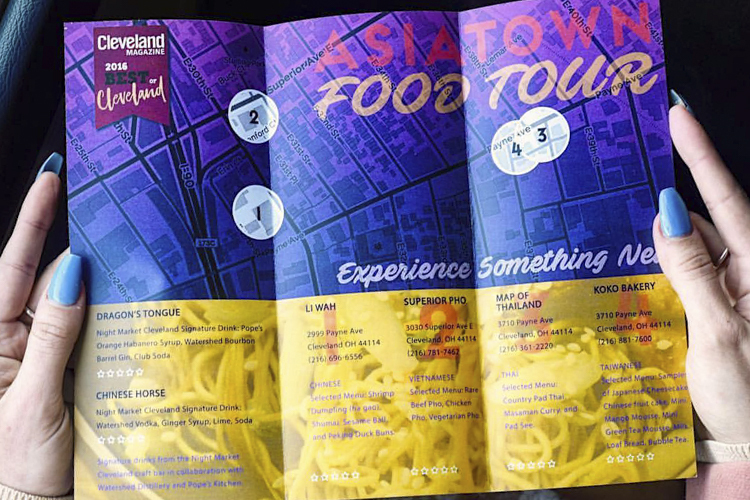 Also returning for its fourth season is the AsiaTown Food Tour, offering a more immersive culinary experience among the neighborhood’s culture, businesses, and restaurants. Those changes include a new layout that will be easier to navigate and less crowded, as well as additional vendors. He says part of the problem previously was that all the investment around Rockwell Avenue—with street and parking lot resurfacing, landscaping, and building redevelopment—made the scene a bit hectic. For $75, tour guests get to dip into AsiaTown’s food, history, and community as chefs and tour guides present meals and Watershed Distillery cocktails at four restaurants. The tour also details the neighborhood’s rich history and present-day successes, showing off points of interest via a West Side Shuffle bus. Although the tours now run all year, Night Market secretary Josh Maxwell says the tours are only open to the public April through October. In the winter, the group focuses on private tours for organizations and groups like college orientations and Destination Cleveland (with a focus on Chinese New Year tours during winter). Maxwell adds that the food tours serve as a marketing tool and a means to extending the seasonal buzz from Night Market. “The Food Tours started as a way to educate and public on the foods represented at AsiaTown and making sure people who go to Night Market are coming back,” he says. In fact, the goal of both events has always been to introduce and engage the wonders of AsiaTown to the rest of Cleveland. Additionally, a strong focus of Night Market since its inception has been to introduce and support new Cleveland businesses—which Maxwell says they’ll ramp up this year with an official business incubator program (free of charge to businesses one year old or younger). 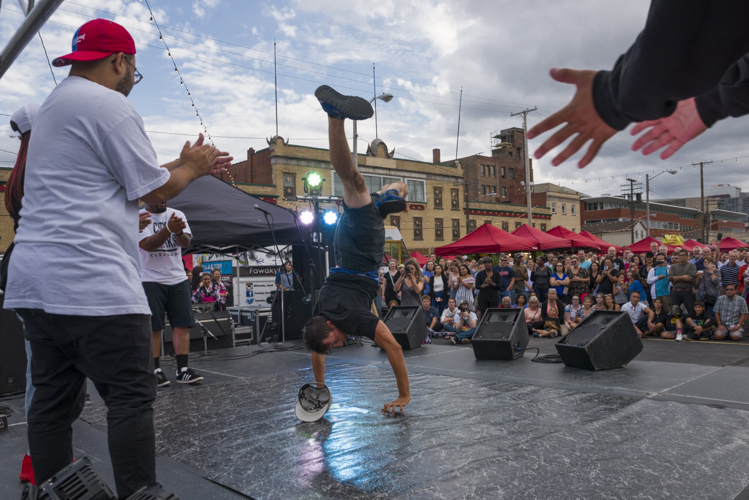 “We saw Night Market generating businesses at a rate that we didn’t expect,” he says, adding that the event has generated 12 successful businesses over the years and averages three to four new businesses each year. Fresh Brewed Teas is one such business that has become a popular staple at Night Market since Brandon Croucher and his partners, Chao Sang and Lo Li, literally lit up Night Market when they came on the scene in 2017. The team sells alcoholic bubble tea—sold in a lit light bulb—with flavors including strawberry mango with bourbon and mango blast with vodka. Croucher says the Night Market staff has been instrumental in helping Fresh Brewed Teas get off the ground. If all goes well for Fresh Brewed Teas this season, Croucher says they are looking at opening a brick-and-mortar location. 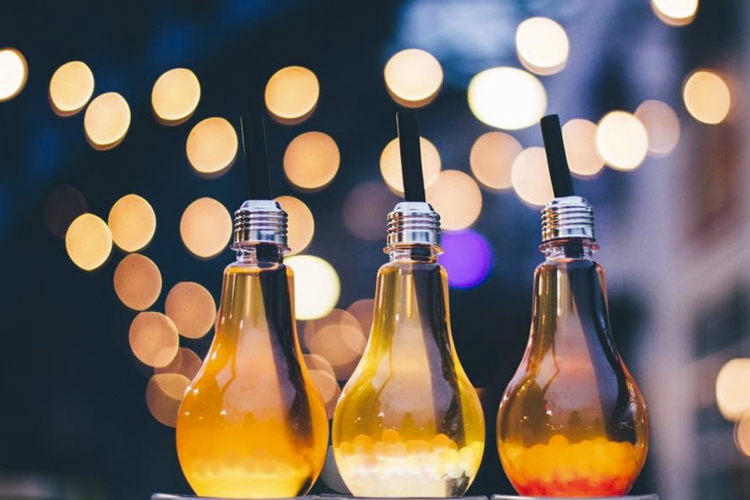 Additionally, the team will now offer a kid-friendly, non-alcoholic, caffeine-free, sugar-free version (made with coconut water) of the light bulb novelty drink at Night Market. The first Asia Food Tour event of the summer is tomorrow, Wednesday, April 17. The public food tours run through Wednesday, October 16. The first Night Market Cleveland is on Friday, June 21, and runs through Friday, September 27.